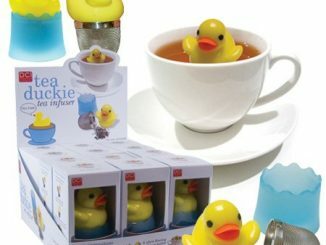 Tea has entered a new hipper realm where it’s not strictly for grandmas and crumpets anymore. 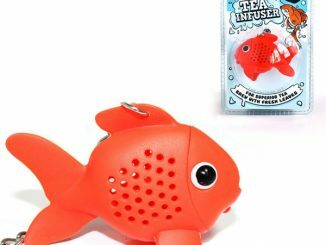 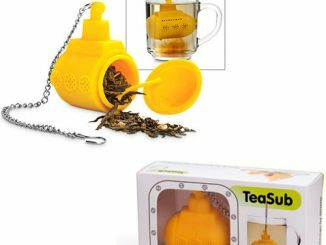 With this new tea revolution comes funky cool tea infusers to give dried leaves and tips some much needed flair. 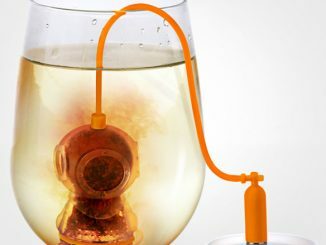 The Tea Leaves Tea Infuser is just one of the many new steepers out there. 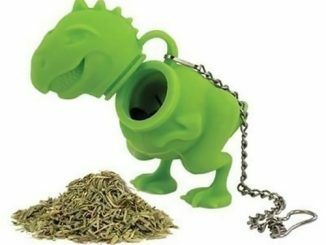 Maybe you’ve seen the Tea Rex Dinosaur and Yellow Submarine infusers on the pages of GeekAlerts. 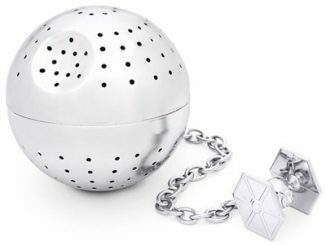 Like these, the Tea Leaves infuser is made of easy-care silicone that’s a cinch to clean up compared to the old wire mesh infusers. 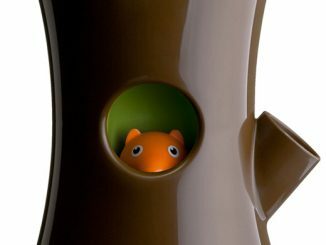 Also, silicone allows for more color which makes everything so bright and cheery that your pinky finger will want to lift on its own. 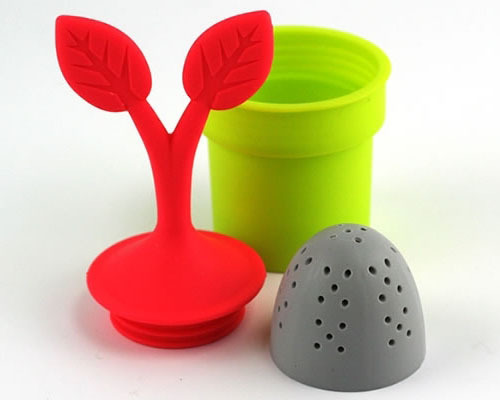 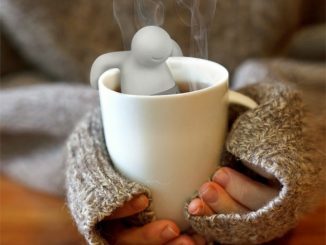 After steeping your tea with the Tea Leaves infuser, the plant pot acts as your infuser’s exclusive pedestal. 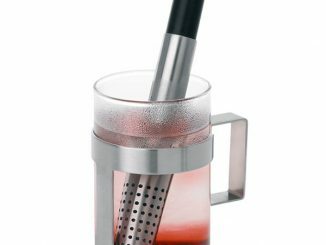 It’s convenient for when you want to get more mileage out of your tea leaves by using your tea-filled infuser a few more times. 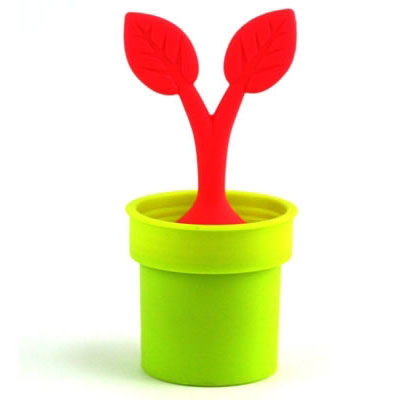 But the cutest part about it is that altogether, it looks like a baby tea tree growing out of a pot. 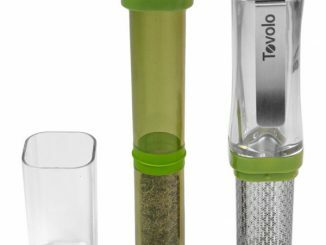 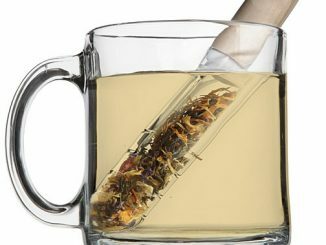 A great gift for mom or anyone who loves their tea, the Tea Leaves Tea Infuser is $13.95 at NeatoShop.com. 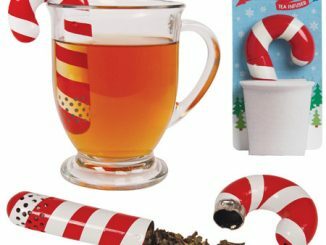 These are also available at Officeworks (in stores only) for $9.95!